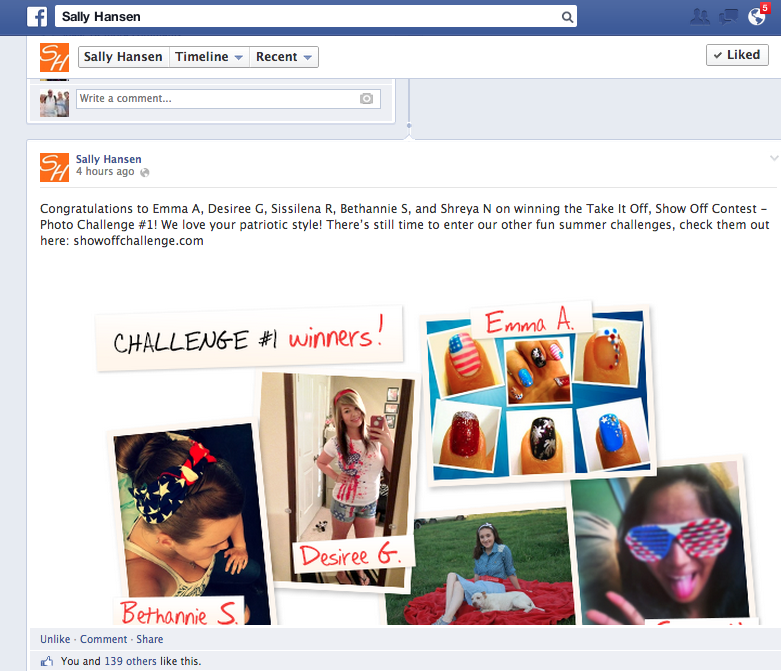 Happy Fourth of July – Independence to Paint your Nails! This week’s fun (and first) installment of Emma’s Nail Notes is dedicated to one of my favorite holidays, the Fourth of July! I was born in Canada, but raised in California since the age of 2 and I wholeheartedly consider myself an American. Sure, we’re celebrating the country’s independence from Great Britain, but my real love of The Fourth comes from the inevitable fireworks (pretty sparkly things), BBQ’s, the heat, and, most importantly, a great excuse to play fashionista with the good ol’ red, white and blue. A great way to make your mani’ work for both before and after The Fourth is to get a basic color gel set done and then just do your decorations in regular polish on top. After the holiday you can just swipe off the patriotic design with regular polish remover, but still have your gel nails for a few more weeks! Red, white or blue are obvious choices, but silver and black would make great bases for designs as well. 10. If you’re rushed for time, just paint your nails alternating red, white and blue solid. 9. Crackle, use white as a base with red and blue crackles on top. 8. Blue nails with a red accent nail, put little white rhinestones on the blue for stars. 7. Fancy french tips, instead of white, alternate red white and blue on the tips. 6. Get mini star confetti and apply to a solid blue background. 5. 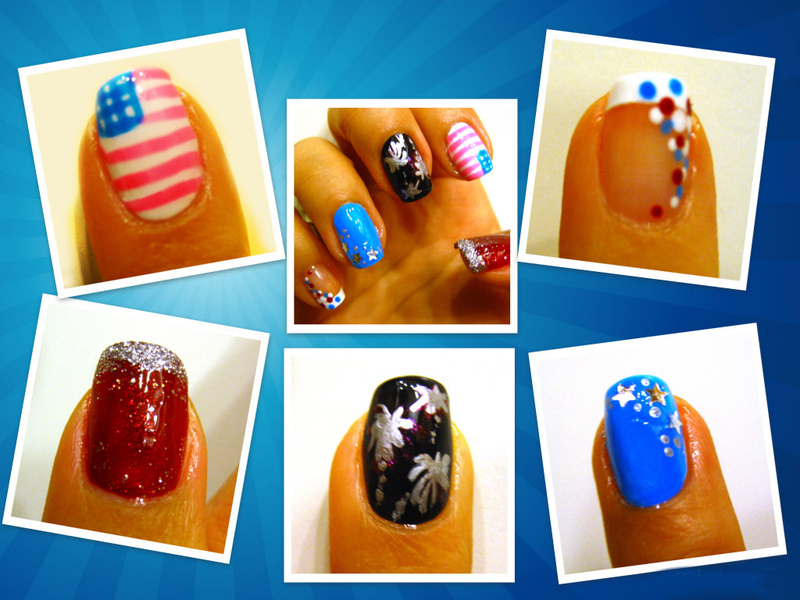 Red, white and blue “dotticure” – just get a toothpick or pin and go to town! 4. Try your hand at taping some red and white stripes, you can buy thin striping tape for $1 on ebay. 3. Fireworks! Use a brush and some silver or sparkle polish and make fireworks on a black or dark blue background. 2. Anything sparkly – you can’t go wrong with red, silver or blue sparkles. 1. The Classic Flag painted in neon or pastel hues for a current twist! Just get a thin brush and it’s easy to do. What are your 4th of July Nails?